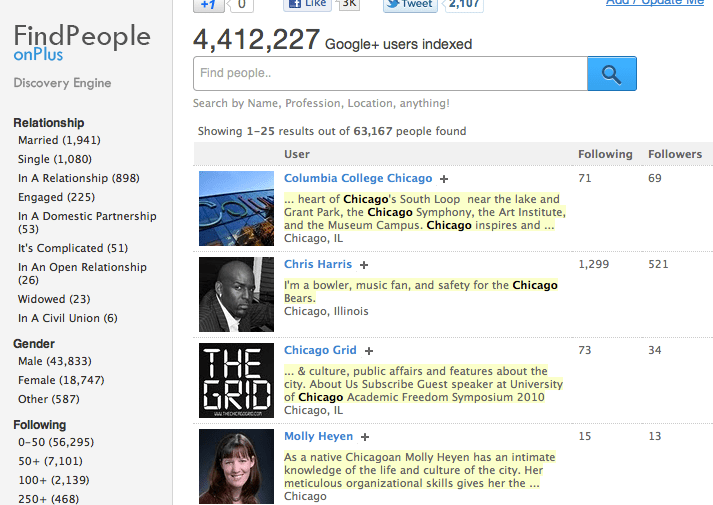 If you joined Google+ you may wonder how to find new people to add to your circles. There is a search box at the top of the Google+ page. Using this method is effective if you know the name of the person you want to follow. Other times, I am looking for those and I do not know their names yet. Many times I am interested in finding others who have something in common with me. Once I identify these people, I can check their profile then decide to follow them or not. I use Find People on Plus directory helpful for this situation. Using the filters, I can narrow my search by gender, the number of followers, number of following, occupation or location. This tool is especially effective for sales prospecting and career management. While you are on People on Plus, be sure to add your name to the directory so other can find you. What other tools are you using with Google+?